ANNOUNCEMENT: Tennis Coach Patrick Mouratoglou Joins Haute Time As A Contributor! Haute Time is very proud to announce that tennis coach Patrick Mouratoglou will be joining the team as a regular contributor. 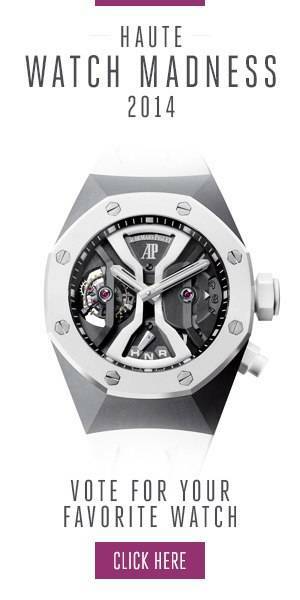 Patrick Mouratoglou has shared our passion for high-end watchmaking for many years. The French tennis coach, who has been working with Serena Williams for the past three years, spends most of his time surrounded by players and collectors who own some of the world’s most exclusive timepieces. He will share his unique perspective into the world of tennis and the world of watches for Haute Time. On Monday, Mouratoglou will be aiming to coach Serena Williams towards her first calendar Slam when the US Open kicks off. In honor of Patrick Mouratoglou, Haute Time and Maurice Lacroix are hosting a private dinner in New York City tonight. Before the celebrations begin, we sat down with Patrick to find out why he wanted to join the Haute Time family, and to learn more about his current watch collection. Where does your passion for watches come from? In 2012 I started coaching of Grigor Dimitrov. As always, I got immersed into his world in order to completely understand him and be able to help him achieve his dreams. I found out that he was a watch fanatic and he introduced me to that world. I immediately fell in love with watches, their lines and designs but also the complexity of the mechanisms. It is a mechanic that requires creativity, patience, know-how, and obsession of details. I’ve been collecting watches ever since. What kind of watch are you generally drawn to and what’s on your wrist nowadays? I am very attached to their design. In my collection, I have the Audemars Piguet Millenary, as well as the Breguet Tradition, and the Maurice Lacroix Masterpiece Lune Retrograde Limited Edition. But I also love vintage watches. At the moment I’ve got a Heuer Camaro from the 60s on my wrist. Tennis courts are a great place to do some watch spotting for us, both in the stands and now on the courts. Are watches something you talk about with other tennis players and coaches? Many players and coaches really like watches and speak about them quite a lot. Few are really specialists. A watch is almost the only piece of jewelry available. That is why wearing a nice watch is important to me. It says also a lot about your personality. Roland-Garros was exceptional this year in that both winners, Stan Wawrinka and Serena Williams, were not only watch ambassadors (Audemars Piguet), but also wore their watches during the Finals. What do you think of this new trend? I think that in the past, players weren’t wearing watches during matches for two reasons: First they were afraid that the watch would bother them while they were playing. Second, they had to be sure that the watch would be able to sustain all the shocks and powerful vibrations of the impact of the ball in the racket that is transmitted to the wrist. The watch industry has since introduced innovations to create lightweight watches, with movements strong enough to endure the vibrations of top level sports. As a coach and a watch collector, are you detail-obsessed or do you look at the big picture? The big picture, which is the thing that I look at, requires spending a lot of time on details. Success depends on the ability of the coach to be able to control every detail. The best coaches are the most obsessed, and they make sure that everything has been prepared so there is no luck involved. They simply can’t afford to forget one detail. The US Open is around the corner. What would achieving the calendar-year Grand Slam with Serena Williams mean for the sport? What Serena has already achieved in her career is unique. She has won 21 Grand Slam singles titles and 69 titles. She has beaten an incredible number of records already. She has won the last four Grand Slams. Achieving a calendar slam would just be one more line added to a very special prize list. I don’t think she should put too much pressure on her shoulders. She has nothing to prove anymore. She plays for fun and because she enjoys so much both that sport and the fact that she is still at nearly 34, the greatest player of all time.